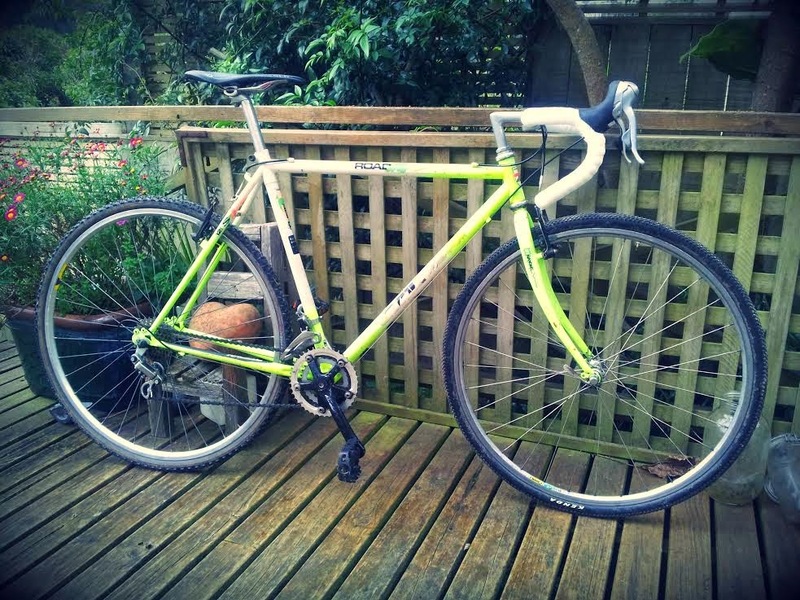 Biketec NZ: Cyclo cross bike number 2 ! What is Bike Tech ? Cyclo cross bike number 2 ! Maybe we'll call this one number 2 ! We got heaps of new stuff donated to us which enabled us to get another CX rig rolling. Ben Copsey gave us heaps of good loot including that lovely Titanium railed saddle ! Sparkly white bar tape from Oli at Roadworks, shifters from Jeremy Bray, tires from Andre Oliver (now on the Brown Bomber). The rest of the stuff came from various bins in at Biketec : ) This bike is booked for race B, (in Huttcross round 4 on sunday, as is the Brown Bomber, but both bikes are also available for race C and A !! Maybe bring your own brush and water!